Pascal Coin, abbreviation as: PASC, is a completely original cryptocurrency with a pioneering new technology Safebox. It is the first cryptocurrency that breaks the barrier of 100 trades per second. Pascal-coin’s structure has certain originality in terms of large-scale smart contracts in the form of Second Layer agreement. Written in Pascal language, with mechanism of preventing double spending, not ICO, no pre-mining. Its operating mechanism is similar to a bank account; the wallet address is short and easy to remember. PASC had hard forks on the morning of November 15, 2018, and the algorithm was upgraded. At present, only CPU and graphics card mining are supported. 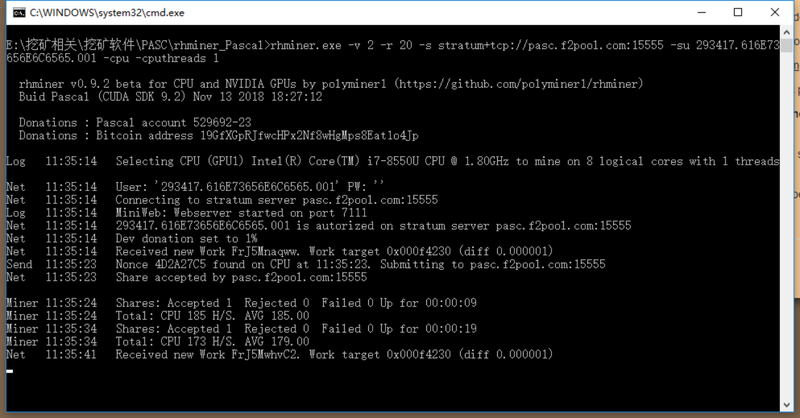 In addition, ETH+PASC dual mining is not supported at present. Currently PASC mining uses anonymous mining on F2Pool, in order to obtain mining revenue, you need to prepare a wallet address firstly. Note: Some websites provide the wallet address, and also provide Payload, which is similar to the payment ID. 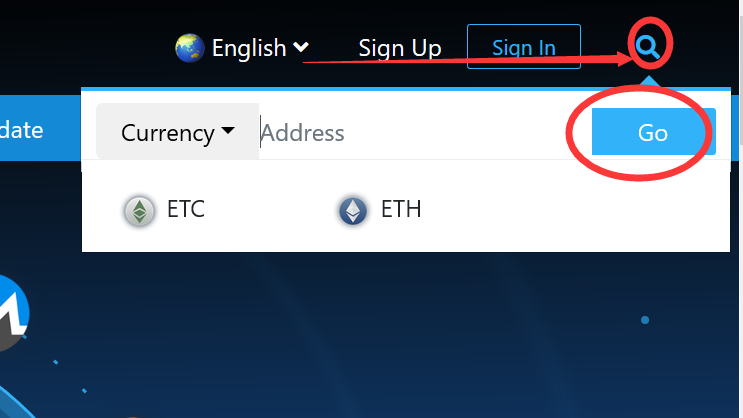 It is different from the local wallet setting when the mining software is set. The format is: Wallet address. payload.Worker name, where payload must be a 16-character hexadecimal string. ”rhminer” is a software that supports pasc mining after pasc having hard fork. It supports CPU and GPU (NVIDIA) mining. It also supports Linux system and Windows system. The Linux version of the software and setting method can be obtained through the original mining software link. The following describes the mining settings method under Windows system. -cputhreads The number of mining threads set for you. This parameter depends on the actual situation of the CPU. If your computer configuration is high, such as a 4-core 8-thread CPU, the number of threads here can be set to 6, to improve the utilization rate of the CPU. Save and close the file, then double-click and run the file to start mining. The following picture shows the successful mining. -gpu specifies the graphics card you need to mine. If you have multiple graphics cards, you can use this parameter to specify a specific graphics card for mining. For example, if the miner has 6 graphics cards and all miners are mining, the parameters are set to: -gpu 0,1,2,3,4,5; if you want the second graphics card not to mine, the parameter is set to: -gpu 0, 2, 3, 4, 5. -gputhreads is the number of your graphics card threads. This parameter needs to be configured according to the performance of the graphics card. You can pre-calculate a rough value through the memory of the graphics card. There is a formula for reference: -gputhreads parameter = memory value *0.75/8.8. For example: If you are using a 1070 8G graphics card, the graphics card memory is 8000, the value should be: 8000 × 0.75 ÷ 8.8 = 681, then the number of threads corresponding to this graphics card can be filled in 681 first. And so on, to configure the appropriate number of threads for each graphics card of the miner. If the program runs stably after mining, you can adjust the number of original threads up and down to ensure that the program does not crash, and obtain the maximum mining power.